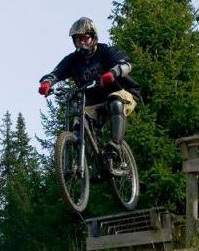 I use my prescription Seaspecs for downhill mountain biking... and they're awesome! Just wanted to tell you about it. Fantastic!!! Improves my riding experiences in the Norwegian mountains a lot...!